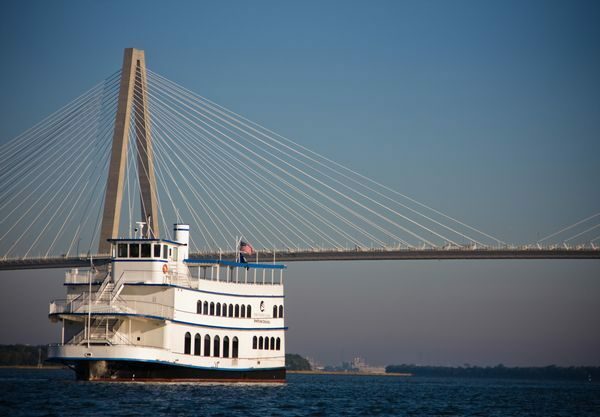 Savannah & Charleston… A Must Do Trip! One of the first multi-day trips by bus I escorted as a Tour Director for Starr, about 12 years ago, was to Savannah and Charleston. I had never been to either city before but had heard so much about both southern destinations. I was excited to go and, of course, so were my passengers. Savannah was a place that I’d heard about way back when I first became a Brownie Girl Scout in 19__?? Well, you can guess that one. I wanted to see the Juliette Gordon Low house where the first Girl Scout meeting was held and where Forrest Gump sat with his box of chocolates. I also wanted to see the Mercer House where the story behind “Midnight in the Garden of Good and Evil” happened and was filmed. So much to see in such a small town. We saw all that and more. In Charleston, I discovered why the city was named “the friendliest city in America” – everyone smiled and said hello! I wanted to return, but I didn’t get that opportunity again until last year. I would finally get to see those two cities again, and it would be even better. 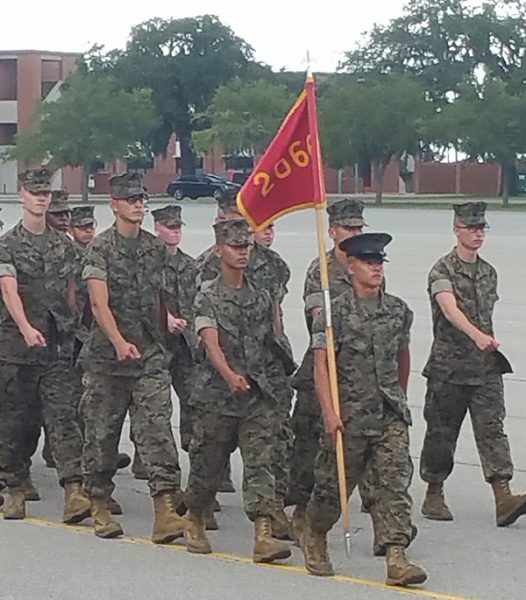 The trip now includes a stop in Beaufort, SC, a lovely small, southern town with a big mission…it’s home to Parris Island, the Marine Corps Boot Camp. I was excited to see where my Marine friends and family spent 13 wonderful weeks of their young lives (well, it might not have been so wonderful at the time!). We enjoyed a complete tour of Parris Island including a stop at the museum and gift shop. From there we went to Savannah, for two nights in a lovely hotel right in the historic downtown. When I awoke on my first day in Savannah and turned on the weather channel (a habit all Tour Directors have), the weatherman was being pelted with rain and wind from Tropical Storm Julia, which he said had developed overnight and was now hitting Savannah. Huh?? I immediately ran to the window, pulled back the curtains and looked outside. It was cloudy, but there was no wind or rain. I wondered if was he on some sound stage at the Weather Channel and someone was throwing buckets of water at him while a big fan blew stuff around? T’was a puzzlement. So we proceeded to our morning trolley tour, which would go on rain or shine. Sure enough, they picked us up, on time, at the front door of the hotel and we rode around Savannah, hearing wonderful stories about that lovely city. There was some rain, but nothing out of the ordinary. We made a stop at the Massie Heritage Center, a pre-Civil War building that was originally a school for Savannah’s poor children. It is now a museum and has an outstanding exhibition documenting the Greek, Gothic, and Roman influence on Savannah’s architectural history. In addition, an educational program called “The Nineteenth Century Classroom,” allows youngsters and adults to experience a 19th century school day. It was so much fun! When our tour ended at noon on River Street, I found out what that weatherman was talking about! The rain suddenly came down, the wind came up, and I was instantly soaked (even with my rain poncho)! So were my passengers, but they smiled and we decided it was time to go inside for lunch. Good timing! With so many restaurants to choose from, everyone found what they wanted and sat out the worst of the bad weather. Afterwards, with all of the various and wonderful shops so close together, it was easy to get in and out of the rain and buy lots of good stuff from local merchants! Our tickets for the trolley allowed us to get on and off for the rest of the day, which was so convenient in the rain. 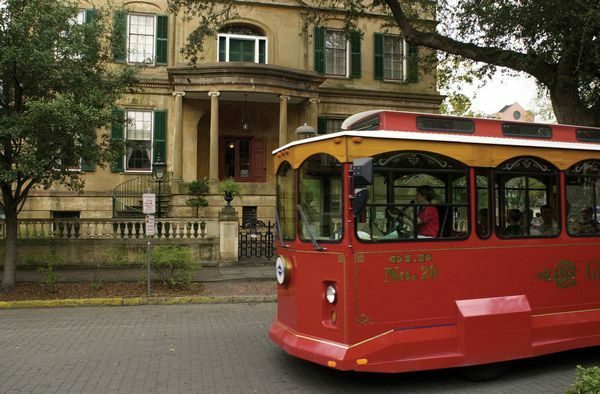 So with umbrellas and raincoats and unlimited transportation, the passengers thoroughly enjoyed everything Savannah had to offer…even in the bad weather! That evening we saw a delightful Broadway-style show at the Savannah Theatre. The next day we hopped aboard our bus and headed north to Charleston, where we met our local guide who showed us all around the city she loved, including the Citadel, which both her husband and son had attended. With time on our own in the afternoon, we walked through the Charleston City Market filled with so many wonderful shops. Our biggest decisions were what to buy! Again, so many friendly people and smiling faces and delightful weather as a bonus, in spite of the weatherman’s report that Tropical Storm Julia was going to Charleston with us. Other than a brief sprinkle, I don’t know where Julia was, or that weatherman for that matter! A dinner cruise along the Cooper River capped off a relaxing evening. The next morning we set off for our final stop at Magnolia Plantation, a 17th century estate. It felt like we had stepped back in time. The nature train tour took us around the beautiful gardens, ancient magnolia trees covered with Spanish moss and past a number of ponds where alligators were resting in the sun!! WHAT??? ALLIGATORS??? Only a few feet from where we passed? Our guide assured us that they were not hungry… Well, he thought that they weren’t hungry so, we were safe… I think! As we made our way home on our comfortable Starr bus, we talked about all the wonderful things we had seen and the friendly people along the way. It was truly a delightful trip that I was so happy to have been able to take again and hope for more visits in the years to come. Now that I have shared one of my favorite memories, what are your favorite memories of the south? 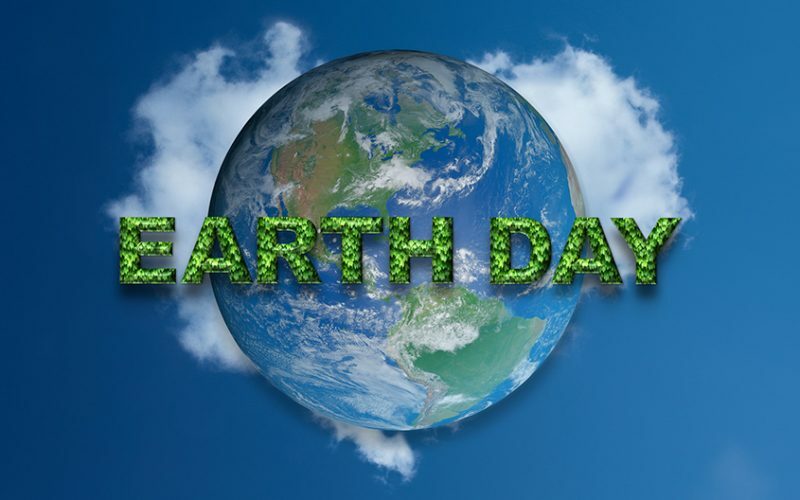 Each year, Earth Day—April 22—marks the anniversary of the birth of the modern environmental movement in 1970. The largest secular observance in the world is celebrated by more than a billion people every year, and offers a day of action that changes human behavior and provokes policy changes. The fight for a clean environment is in full force at Starr and continues with increasing urgency, as the ravages of climate change become more manifest every day. At Starr, we are committed to doing our part to help our environment and make a difference. That is why we invest in and maintain one of the “greenest” fleets on the East Coast. With numerous technologies and initiatives in place, Starr is actively working to protect our environment for future generations. Did you know that just one of our coaches can replace up to 56 cars on our roadways? It’s time to climb aboard a charter bus to help our environment! The Volvo D13 Engine, an engine in the newer buses that Starr purchases, delivers near-zero emissions of particulates and NOx – improving air quality and exceeding new EPA emissions requirements. 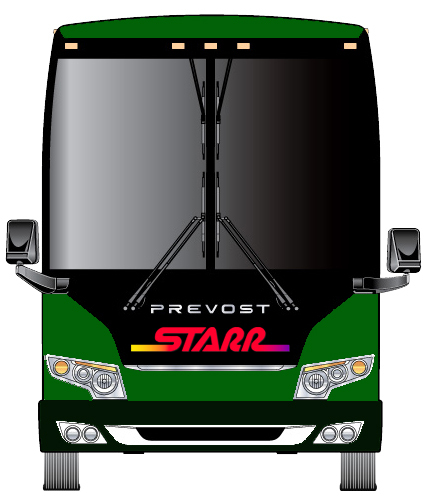 Starr operates a fleet of Prevost motorcoaches. Prevost is the only North American bus manufacturer to be a world-recognized environmental leader and is fully committed to safeguarding the environment. Prevost is the only coach manufacturer to have achieved an ISO 14001 Certification for environmental management. Starr Charter Bus Drivers have been individually trained by the University of Vermont’s Certification for Sustainable Transportation. Starr Charter Bus Drivers are not permitted to idle engines for longer than 3 minutes as unnecessary engine idling wastes fuel and creates senseless pollution. Goes paperless whenever possible…emailing confirmations and invoices and printing only when necessary. Has a recycling program in place that includes everything from paper to ink toner. Motorcoach Travel – The Greener Way to Go! A couple boarding a motorcoach will cut their carbon footprint nearly in half compared with driving even a hybrid car. And if they take a motorcoach rather than flying, they will cut their emissions by 55 to 75 percent, depending on the distance they travel. Motorcoaches emit the least carbon dioxide per passenger mile compared to other vehicles, and are 7 times more energy and fuel-efficient than single occupancy automobiles. Motorcoaches are 3 times more efficient in reducing carbon dioxide output compared to commuter rail. Motorcoaches are the most fuel-efficient transportation mode in North America when measured in terms of passenger miles per gallon of fuel providing 206.6 passenger mpg compared to commuter rail (92.4 passenger mpg), airlines (44 passenger mpg), and single occupancy automobiles (27.2 passenger mpg). A single motorcoach can replace as many as 56 passenger cars on our highways. As you can see, Starr has a strong commitment to preserving our environment. So this Earth Day, what will your focus be to help cherish and maintain our environment? Now, it’s more important than ever to Go Green! As a Tour Director with Starr Tours for the past thirteen years, and living by the Girl Scout motto of “always be prepared,” I have increasingly added travel “must haves” to my onboard travel list. Here is a list of what I pack whether on a day trip or multi-day bus tour which may prove helpful to you as well! IMPORTANT DOCUMENTS — Perhaps it goes without saying that you should always have your driver’s license/photo id, medical insurance card, prescription medication information, medical id (if needed) and doctor’s phone number, credit card numbers and financial information (in case a card is lost or stolen), and travel documents and travel insurance (when necessary). Keep these items on your person at all times and leave a copy of these items with a family member or a friend back home. MEDICINE — If you are taking any prescription or over-the-counter medicines, it is always a good idea to keep them near at hand whether at your seat or in the overhead compartment. Over-the-counter medications such as headache/pain reliever, motion sickness pills, and antacids are worth having with you on the road. WATER — I can’t emphasize enough about bringing along a bottle of water or two. When medicines have to be taken at specific times during the day, and a rest stop is some time away, it is convenient to have water at your side. Also, dehydration plays a major role when you are traveling. It’s the change in climates, altitudes, and the amount of walking/exercise you may not be accustomed to that will make you feel thirsty sooner than if you were home. The minute you are thirsty you are dehydrated! SWEATER/JACKET/HAT/SOCKS — We do our best to control the temperature inside the bus for everyone’s comfort; however, there may be times when you will feel more comfortable wearing a sweater or throwing a jacket over your shoulders. Likewise, if it proves too warm to your liking, removing your outerwear might just do the trick! It is also not uncommon for outside temperatures to fluctuate from the time you board the bus to your destination. Along these same lines, you may want to throw in a pair of socks in case your feet get cold and you are wearing sandals. A hat can come in handy on those bright sunny days. RAIN GEAR/UMBRELLA — As much as no one likes to carry an umbrella, you just never know when it will come in handy. The skies could be clear as we make our way from the departure points, and it could be pouring at our first rest stop. There are multiple stores that sell plastic ponchos for a few dollars and they don’t take up much room in your carry-on. SNACKS — Just like the ocean air at the beach, the excitement of traveling on a bus can make you feel hungry! Although we do make rest stops approximately every two hours, it doesn’t hurt to have your favorite breakfast bar, piece of fruit, pretzels, crackers or candies only an arms reach away! Tea, coffee, juice, and sodas are also welcome as long as they are in a container with a lid. You may want to throw in a couple of plastic baggies just in case. They come in handy for leftovers, etc. SANITIZING WIPES/TOILETRIES — There will be many times when you will be in touch with grab bars, railings, door handles, etc. It is always a good idea to keep sanitizing wipes, gels, sprays, etc. nearby to keep those germs away. Also, keeping a few essential toiletries with you comes in handy when you want to freshen up at a rest stop or when we get to the hotel. Sometimes it takes the hotel a few minutes to sort and deliver luggage to everyone’s room so having these items with you is a nice convenience. SMALL NECK/BACK PILLOWS — Our seating is ergonomically comfortable! The seats are fitted with handrails, headrests, and recline with footrests, but if you need a little extra comfort, bring a small pillow for your neck or back – I do! Ear plugs can also come in handy if you want to take a nap. READING/GAME MATERIALS — There is so much to do while riding on the bus — catching up with your friends/family, making new acquaintances, looking out the window and enjoying the beautiful scenery while listening to soothing music, taking a cat nap, engaging in the fun games your tour director is playing or watching the pre-selected movie. Our buses are equipped with secure WiFi connections. So, even with all of that to do, there is always time for you to relax using your personal electronic devices to check email, Facebook, play games, read your favorite book or magazine, and do word and number puzzles — don’t leave home without them and be sure to pack your charging cables and headphones! EMPTY SATCHEL/BAG — There are so many opportunities to bring back souvenirs that it may help to have an extra empty bag or two to protect your new found treasures. Oh, one more thing—make sure you pack your enthusiasm for another great adventure with Starr! I look forward to sharing your list of onboard items when I see you on the road again! As a Tour Director for Starr, there are many days and nights throughout our busy travel season that I, like my fellow Tour Directors and like our passengers, are away from our own homes. I have to admit, passengers aren’t homesick for too long, especially when the tour includes visiting some pretty unique, historic, and even haunted houses. All guests have to do is “wipe their feet” and they are welcomed into the private homes of rock stars, corporate executives, historical figures and sometimes homes of those who have left this world… or have they? Below is a short list highlighting some of these intriguing homes that open their doors to Starr customers. 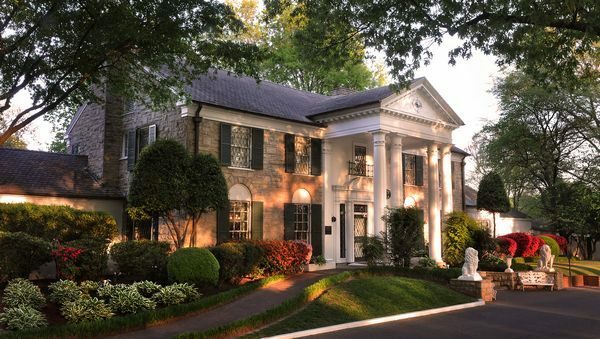 GRACELAND, Memphis, Tennessee—Available on the Memphis/Nashville Tour. Home to Rock n’ Roll Legend, Elvis Presley, this colonial mansion has been frozen in time complete with original furnishings and shag carpeting. You’ll be treated to a glimpse of the famous “jungle room,” and billiards room where a large tear can be seen on the pool table. Culprit unknown. You can pay respects to Elvis and his family members in the Meditation Garden which is adjacent to the house. 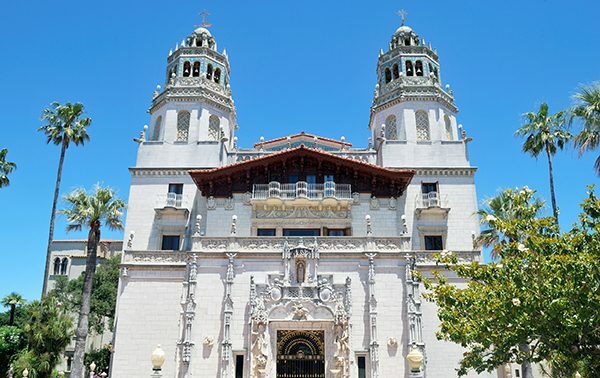 HEARST CASTLE, San Simeon, California—Available on the Cross Country by Bus Tour. Sitting high on California’s Central Coast overlooking the Pacific Ocean, is William Randolph Hearst’s Casa del Mar. The media genius built his dream house in 1947. It boasts 165 rooms and 127 acres of gardens. Actors, politicians, business executives, and newspaper moguls were often guests to his “Enchanted Hill.” It was here that they would meet for cocktails, conversation and just plain fun surrounded by Renaissance and Baroque tapestries as well as masterpieces of paintings and sculptures. The Neptune and Roman Pools are only two reasons to see for yourself what money and power looked like back then. 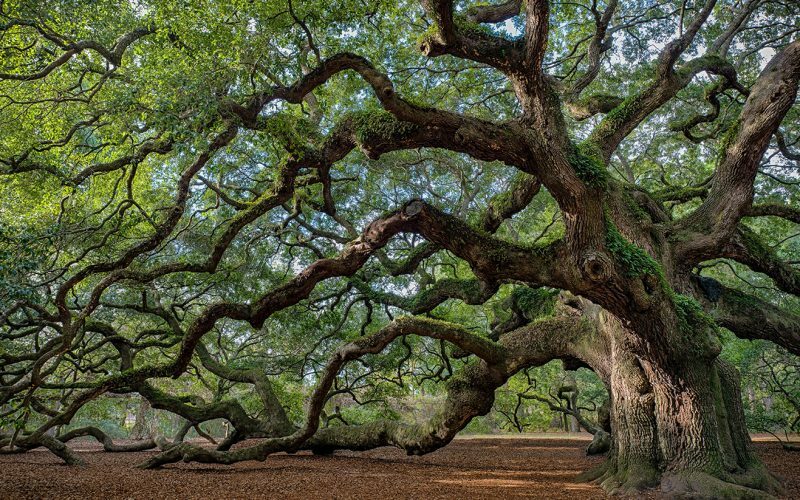 MAGNOLIA PLANTATION, Charleston, South Carolina—Available on the Savannah/Charleston Tour. 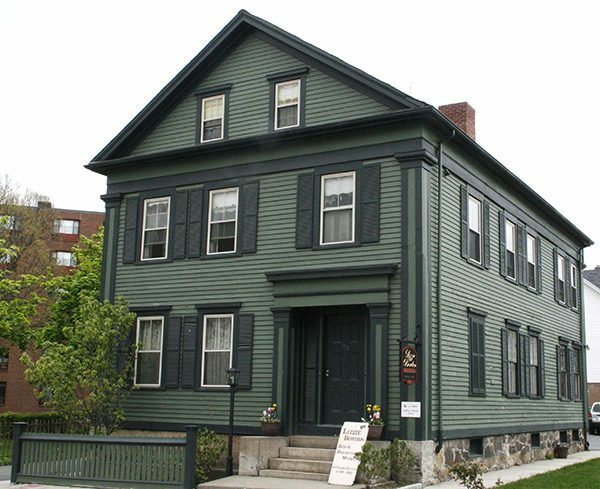 LIZZIE BORDEN HOUSE, Falls River, MA—Available on Ghosts of Providence, Rhode Island Tour. Now a Bed and Breakfast Inn as well as a museum, this house is especially popular during the Halloween season. Registered with the Fall River Historical Society as a tourist attraction, this three-story Victorian house is where the 1892 infamous axe murder of Abby and Andrew Jackson Borden occurred. Their daughter, Lizzie Borden, was tried and acquitted. Visitors can see most rooms in the house and then make their way over to the gift shop for some unique purchases. In case you have a family gathering, wedding or need to schedule a seance, the entire house or individual floors are available to rent! MONTICELLO, Charlottesville, VA—Available on Presidential Homes of Virginia Tour. STEGMAIER MANSION, Wilkes Barre, PA—Available on Pocono Fall Foliage Tour. If you are fond of the Victorian Era, then you will absolutely love the home of Frederick and Mary Steigmaier, founder of the Stegmaier Beer Company. Said to be the aristocrats of Wilkes Barre, the Stegmaiers weren’t only highly regarded because of their world-renown “Gold Medal” beer, but for their philanthropy as well. 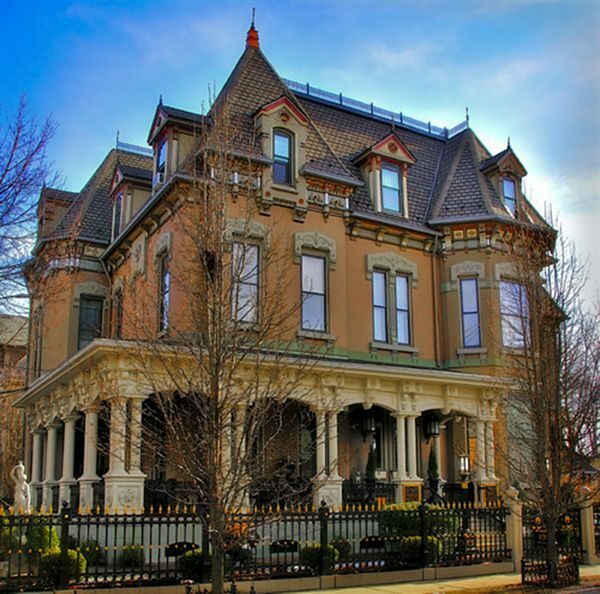 Restored by its present owner as a Bed & Breakfast and venue for special events, you are in for a real treat as each room is over the top Victorian—wallpaper, furniture, household furnishings. Doesn’t matter if you have lunch in the Ladies or Gentlemen’s Parlors, you are transported back in Victorian time! 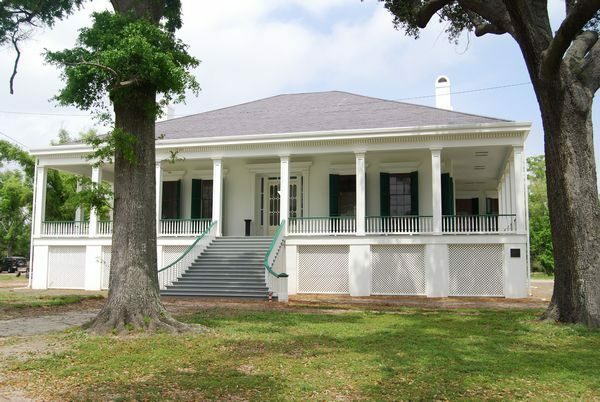 BEAUVOIR, Biloxi, MS—Available on Mississippi Gulf Coast Tour. Confederate President Jefferson Davis had a stunning view of the Gulf of Mexico from his large estate. Willed to him by, Sarah Ellis Dorsey, Davis lived out his final years at Beauvoir. 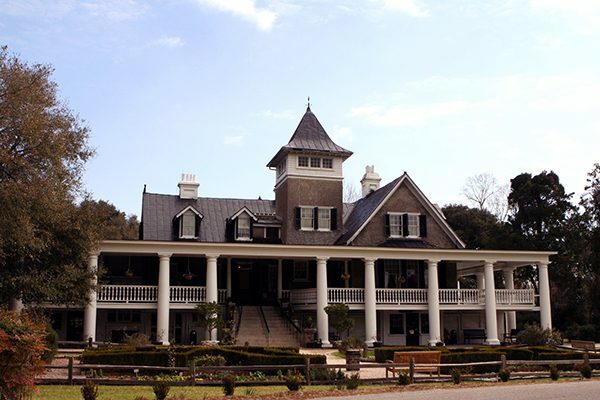 With his passing, his second wife, Varina Howell Davis sold it to the Sons of Confederate Veterans with the stipulation that it be used as a Confederate veterans home. It is on the National Historic Landmark Registry. Besides touring Davis’ home, visitors are treated to museum and library Civil War artifacts. Be sure to ask about the Camel Corp—it is fascinating! EDSEL AND ELEANOR FORD HOUSE, Grosse Pt. Shores, MI—Available on Agawa Canyon, Ontario Canada Tour. Just when you think you’ve seen it all, you haven’t seen it all! Although Edsel, the son of Henry Ford, had multiple houses, this one on Lake St. Clair was where he and his wife Eleanor raised their four children. Built on 87 acres and designed by the premier landscape designer, Jens Jensen, this house tour is as much about the outside as the inside. Jens managed to combine woodlands, meadows and wetlands in such a natural way that guests are mesmerized. Each building on the estate is fashioned after English cottages including their daughter’s playhouse complete with plumbing and electricity! 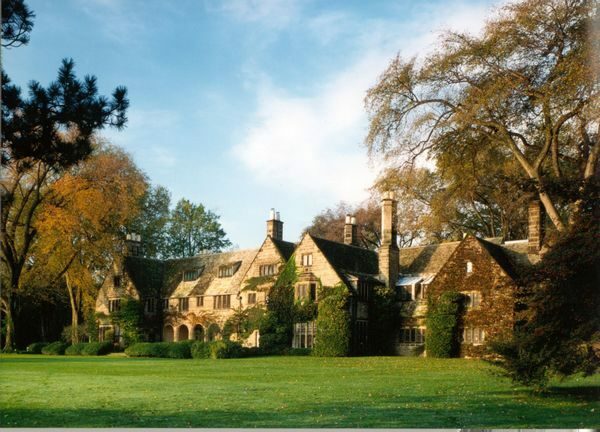 The wood paneling, doors, fireplaces, and chimney piece come from various areas of England. The kitchen counters made of sterling silver and a secret photography darkroom are more reasons not to miss this tour. So, when you feel like “running away” from your own home for a at least a little while, consider taking a Starr bus tour and visiting one of these wonderful homes! You won’t be disappointed!